In the 15 years of teaching, I believe in allowing students to find a love of playing music that keeps them engaged in the process of learning over the years. I specialize in all forms of rock, blues, and pop music. They will have fun and enjoy guitar as they discover their "artist within". Often they will learn songs from the very beginning. Through learning songs, they will become familiar and proficient with technique, scales, chords, etc. Want to have fun learning and playing guitar? I would love to help you do just that! I specialize in teaching beginners and intermediate guitar in all forms of rock plus pop, blues, and alternative. I teach a proven method in allowing students to find a love of playing music that keeps them engaged in the process of learning over the years. Students should be shown how to bring their own personal style and creative expression to their performance. They should also be able to adapt and customize songs in a manner that keeps the songs recognizable and enjoyable, but produces a performance that is uniquely their own. This is a method that I strongly believe in. Depending on the student's ability and willingness to learn, they can be up an playing songs within a short time, all while learning the correct techniques, chords, notes, scales, etc. I have been playing guitar for over 35 years and have been in bands with numerous styles from rock to pop to metal to gospel. I have 15 years of teaching experience. I currently play in a local Rush tribute band: Animation – A Tribute to Rush. You might also find me somewhere on a Sunday morning playing for a local church. 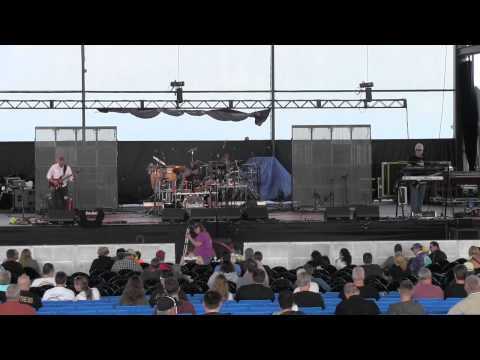 Lead guitarist for the long running, Chicago area, Rush tribute band Animation. Among the many artistic duties, I was responsible for the development and growth of artists at all levels, all instruments. Wrote charts for many of the songs that were used. Led the bands. Overseen auditions for all instruments, including vocals. 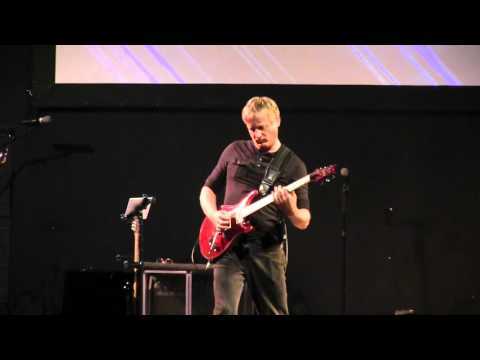 Guitarist/Vocalist/Songwriter for Water 2 Wine, local Christian rock band. Several songs played on local radio from our album, All Lines Open. We would highly recommend taking lessons from Tony G. We have two daughters who both have taken lessons with him. Our oldest daughter, who is 18 now, started taking lessons from him when she was 8. Our youngest daughter started taking lessons from him a year ago when she was 15 and is doing an amazing job! They both enjoy working with him and we, as parents have always been happy with their progress. He listens to the students and what they want to do and what they enjoy and creates a teaching environment that suits them as an individual. Tony is amazing guitar player and an amazing teacher! He is very patient and has high expectations for his students. I really enjoyed hang Tony as my guitar teacher! Tony is a great guitar teacher, and an even better human being. My son has grown immensely under his tutelage; as a musician, and as a person. I highly recommend Tony's Guitar Studio! Tony is dedicated to developing artists. He is patient with our progress, empowers us to take risks, provides guidance when we need it and gives us a vision for where we can be in the future. My son has been taking lessons with Tony since 2004. He has been an awesome teacher and very accommodating with schedules. Great experience! Highly recommend!